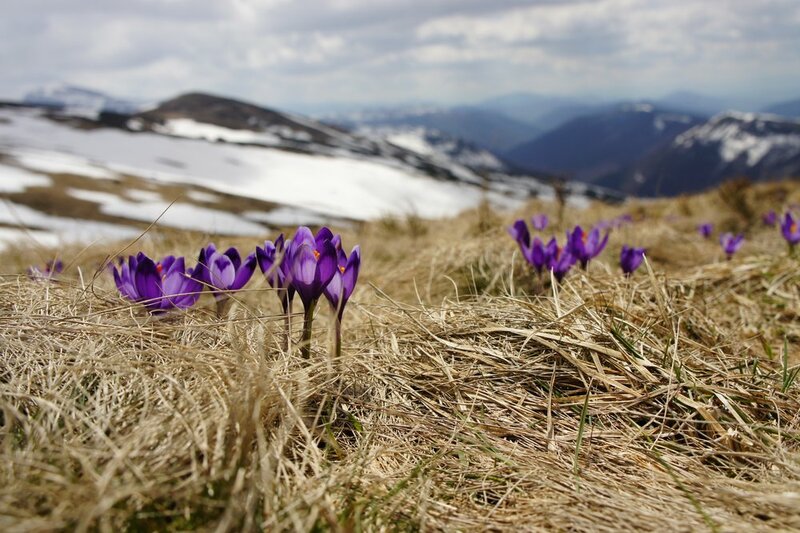 Spring’s approach is a welcome relief for body, mind and spirit. You are ready to burst from your indoor life and satisfy yourself out of doors. While days continue to expand in length you also expand your reach to find peace and protection of your vital energy. Healthy habits should impart a better feeling life. Keeping healthy routines light and easy promotes calm restoration. Check out the connection between meditation and nutrition for an easy approach to feel better with ease. 1. Make a list of everything you do on a daily or very regular basis for your health and vitality. Healthy action that doesn’t require your focused effort because it already is a healthy habit gets a gold star. Rank other activity by how important it is for you. As an example, if drinking enough H20 is something you need to be very conscious of to be sure you get enough, this habit would be high ranking because of its importance to the function of your body and mind. 2. Highlight three things most important to you. 3. Begin with the easiest one and do it everyday. Small changes become healthy habits. It takes about three weeks for focused action to become a healthy habit. Get one down in three weeks, add another and repeat. Soon your top three are ingrained in your way of life. 3. Note how you feel making small action. You want to feel lighter. Easy aligned action will support the natural interconnected design of your body. One small healthful action practiced consistently will result in a cascade of protective benefit. 4. Practice letting go. Rather than look at what you have yet to do, write down everything you did. Replay it in your mind from where you are now and work your way backwards to when you got out of bed to start the day. Backward memory recall like this is a great tool to improve your focus and feel safety with your choices. 5. Allow yourself to just be. Find something on your to do list that you can get away with not doing. You are not giving up high standards. You are gaining the realization that so many of the details thought to be necessary can be released. Make room for you to just be. Take a short nap. Cuddle up with a special one to play a game, snuggle, read a book, watch a movie together or sip a beverage over a conversation. 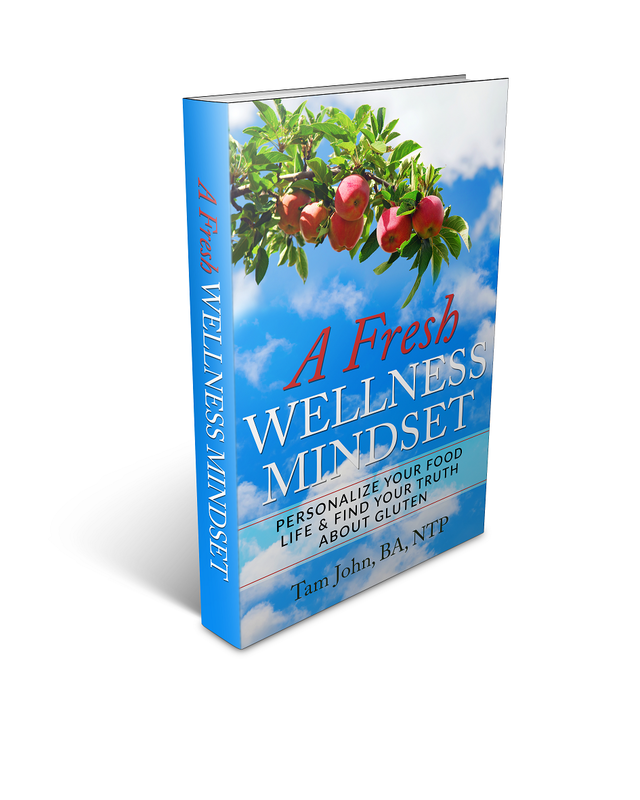 Tam John’s new title A Fresh Wellness Mindset is a guide to help you make healthful choices personally appealing for you. The book is a guide to navigate the modern food supply healthfully and easily. The book is a guide to help you navigate the Gluten Free Movement whatever your health status or personal preference and the needs of your body. It is not about a diet. It is about creating a better feeling life full of vibrant energy at every age. A Fresh Wellness Mindset is written to restore and nourish you for life. Buy the book on Amazon, BarnesandNoble.com or at Tattered Cover Bookstores. Tam consults one to one and provides holistic and Functional Nutritionist services via phone or in person. Contact her for a complimentary conversation to find out if Tam’s approach is a fit for you.